Compliance Alert: Minimum wage increases to $13.80/hour on January 1, 2019, and requires an updated posting (anticipated posting date of December 15, 2018). 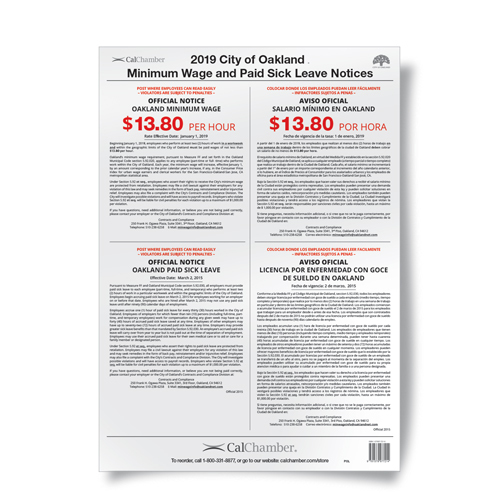 Every employer must prominently post the City of Oakland's minimum wage and paid sick leave notices in areas of the work site where they will be seen by all employees. 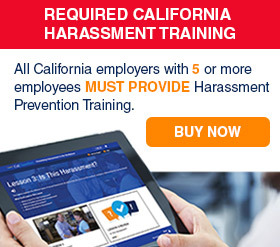 Employers who fail to comply with Oakland's minimum wage and paid sick leave ordinances may be subject to civil penalties and civil actions. Employers must post these notices in all languages spoken by more than 10 percent of employees.